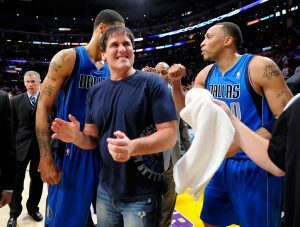 Mark Cuban is a billionaire. He is also incredibly generous with his investments and with his advice to young entrepreneurs. Last week at the TechCrunch Disrupt conference Mark Cuban broke down four basics to your perfect business pitch. 1) Your company’s core competency: What is the primary benefit you offer, and why is your solution better than the rest? 2) Why your team is great: How does an investor know that you and your team will be able to overcome the countless obstacles in the way of a successful startup. 3) Protecting the idea: How do you know this idea won’t be scooped up by someone doing it better, or for less. 4) Ability to scale up: Many companies are able to get going by carving out a small piece of the market. But, many companies also struggle to scale-up to capture a bigger share of the market. Service-oriented businesses in particular are very difficult to scale. Mark Cuban also reminded viewers that funding isn’t the “end-all, be-all,” instead Cuban emphasizes cash flow. Cuban is looking for company’s with insane cash-flows. With cash flow it is easy for an investor to keep funding a company as it matures. Cuban also warned that it’s a mistake to say your company is disruptive if it captures a mere slice of a billion-dollar market.